The Courts and Tribunals service have today produced a short guide – essentially selling the English courts* and the UK Jurisdiction. In essence it is a marketing booklet to persuade foreign litigants to use court in the UK and to continue to use them even after Brexit. There are good commercial grounds for publicising the benefits of the UK Justice system. However this kind of explanation of the court system needs to be carried out nearer to home. inspire business confidence and underpin international trade and investment. 2. Substantive English common law is clear, fair and predictable, and based on precedent. 3. English common law, together with the UK legal system, is, and has always been, flexible. It adapts to meet the challenges of an ever-changing commercial world. efficient resolution of business and financial disputes. 5. Litigation and arbitration in the UK is cost-effective. post-Brexit. Brexit will have no impact on the New York Convention on Arbitral Awards. A few weeks ago I wrote a post about why Sir Martin Moore-Bick should be left alone to get on with his job as a fact finder investigating the Grenfell Tower disaster. 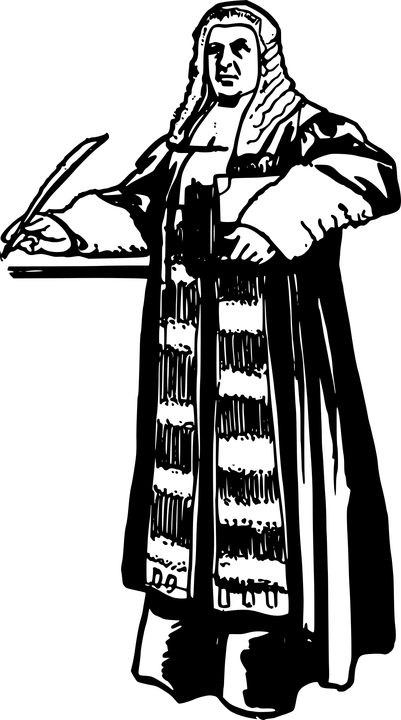 This post had a large degree of support from the legal profession, and a degree of scepticism from some non-lawers. . As a whole the profession understood the role of the judge as fact finder. The theme was picked up by the formidable Secret Barrister in an article in an article in the New Statesman. There were other comments on twitter, including the recommendation that the article be put in a style that was easier for the lay-reader – “tabloid style” if you like. That single question showed why there was a gap between the legal profession’s support for the post and public suspicion. In the civil courts the judge has a primary role as a fact finder. On the whole they do this rather well (there are occasional problems to be sure but this will occur in any system that involves human beings). This is a task done without fear or favour. It is, actually, the job we trust judges with most. An error of law will be rectified on appeal whereas findings of fact are extremely difficult to overturn. On the whole the public is not really aware of this aspect of the legal process. The arduous task of determining disputes between individuals, between corporations and between citizens and the state. The courts civil just get on with it. There is barely a need to advertise a service that is overworked (and under-resourced). However the job that the civil courts do – which I regard as a good job** – is simply not known. The public image of a judge is someone in a full-bottomed wig (holding a gavel) passing sentence. This image of the judge in the criminal courts is in the media daily (indeed hourly). It is rare to find a journalist in the civil courts, unless there is a celebrity involved in the case. This, to some extent, explains the difference between the response of the legal profession and others to the Grenfell enquiry. Lawyers are used to the judge’s role as fact finder. I have catalogued on this blog numerous examples of painstakingly careful fact finding. It cannot be said that this is in favour of the “Establishment.” Everyone from Conservative MPs; the Ministry of Defence; HMRC and the Minstry of Justice has received a bopping from judges. That is not to say the “little guy” is always right and always finds favour with the court, but that I have recorded numerous examples of might not succeeding. It is nice to know that the work we do as litigators is “cost-effective”. I can see why that needs to be advertised to the world, and to the international business community in particular. It would be nice if a tiny slither of the time and resources spent on the commercial courts was put towards explaining the role of the civil courts to the general public. This would explain why the public should have more confidence in the judge’s role as fact finder. Of course recent developments have made this far more difficult. Local courts have been closed down. Legal aid is not available for most of the population. Law is seen as expensive, litigation is expensive (however we can be reassured by the observations that is “cost-effective”). These are formidable problems. However informing the public of how a crucial part of the justice system works need not be expensive, it should not just be confined to attracting international commercial litigation. (This is not to decry the strength of many of the initiatives there are in relation to public education and law. However legal education does not concentrate upon fact-finding or the process within the civil court room. Further these initiatives did not have the ability to respond in the same robust way that the Secret Barrister did). *There is no express mention of Wales when the “English courts” are referenced, others may want to take that up. ** I know it is not perfect and needs improving.